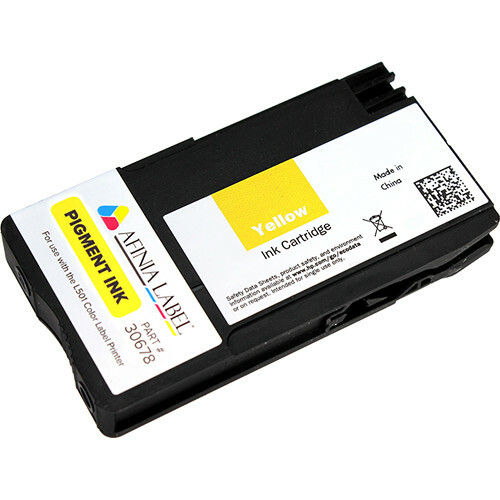 The L501 Yellow Ink Cartridge from Afinia is a 26mL pigment-based ink cartridge for the L501 Color Label Printer. This pigment-based ink offers exceptional water, abrasion, and UV resistance, making it suitable for packaging requiring GHS compliance, as well as packages with high exposure to moisture. Box Dimensions (LxWxH) 6.8 x 5.0 x 0.4"